We are pleased to offer high value service every day. 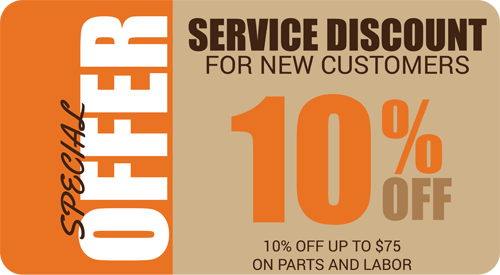 We also offer regular auto repair and service promotions for the Greater Phoenix area that will add even more value to your dollar. ToyoMotors Auto Care is happy to welcome new customers with our special Internet offers. All you need to do is tell us you saw our promotion on our website, it is as easy as that! Feel uncomfortable with what you have been told on a maintenance recommendation, or repair advice? Relax…As an A+ Better Business Bureau Member, up to $130 will be paid in your behalf to obtain a second opinion at our facility! This one is a surprise! New customers who meet our select criteria will receive a special gift following your first visit. Valued at over $165! Most companies offer the best promotions toward acquiring new customers. We do things differently at ToyoMotors, we want to give the best to you, our loyal clients! Thank you for your loyalty and referrals. Please take advantage of the following specials and rewards.